There are so many things that I adore about Haley and Scott's wedding day. They not only are two of the coolest people that I've met, their friends and family are equally as kind, easy going and fun! When a groomsmen tells you as the Coordinator, 'Hey, you're the boss- we'll do what you say', you know it's going to be a great night!! 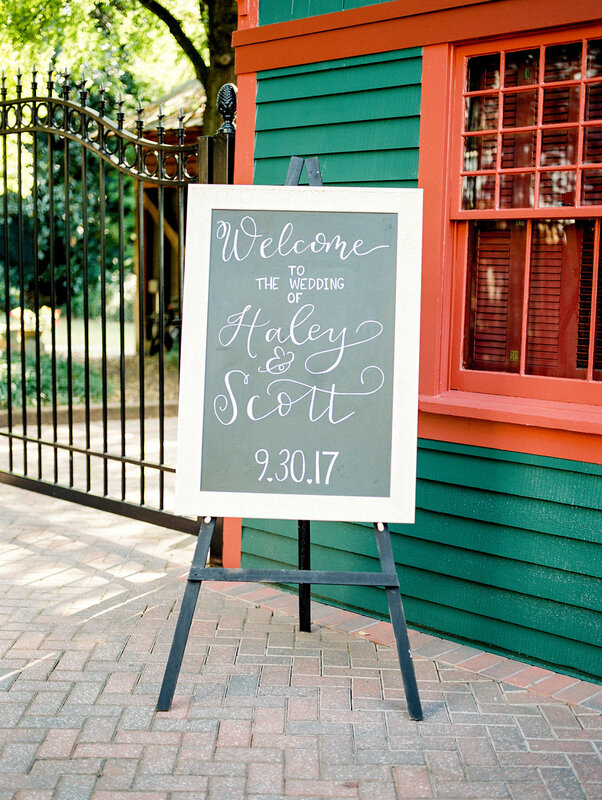 When Haley hired me to take on her wedding design and coordination, I was so excited to begin the process of creating the wedding she and Scott envisioned! With dreams of lush greenery, candlelight and a beautiful neutral and marsala wedding palette below is what came to life! For more gorgeous photos of the entire day, visit Eve Yarbrough's Blog post here.